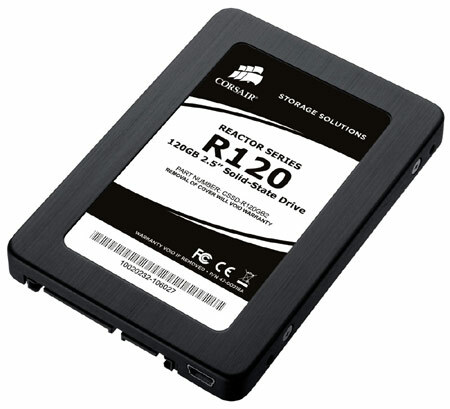 When it comes to data storage for your massive collection of audio and video files, many people traditionally turn to the hard drive as their storage medium of choice, although that trend is slowly but surely changing thanks to the introduction of Solid-State Drives (SSDs), and as prices start to tumble even further from their once stratospheric heights, we can be pretty sure that more people will jump aboard the SSD bandwagon without having the worry of the cost factor hanging over their heads. Corsair, a household name and worldwide leader in high-performance computer and flash memory products, has just announced the expansion of their Reactor Series and Nova Series by adding more members to its family of SSDs. Regardless of whether you decide to settle on the Nova Series or on the Reactor Series, you are more or less assured that the performance benefits of solid-state technology will be made available to you at an attractive cost per gigabyte. We’ll take a closer look at both right after the jump. Samsung first previewed their new line of LED TVs for the year 2010 at CES earlier last month, and among the many new-fangled features which Samsung touted was the ability for the TV To support Skype video calls, although a demonstration on the showfloor wasn’t really impressive due to the choppy video and stuttering audio. Still, it is a start, and we can expect full HD video calls in the next couple of years or so, eh? Back to reality for the moment though – Samsung and Skype have merged powers to deliver new Samsung LED 7000 and 8000 series models of 2010 high-definition televisions, where each unit will sport embedded Skype software that enables Skype users to make video and voice calls through the TVs. These new TVs are already available in South Korea, and expect them to hit the rest of the world sometime in the first half of the year. There are many ways and methods to consider if you love going green in your lifestyle, so where do you start? For most of us, it would probably involve considering a greener mode of transportation, and that can be achieved changing to a smaller capacity vehicle or even using public transport always, with a bicycle to help get you around. What happens when you live in hilly areas like San Francisco, and you don’t want to end up at work as though you just ran a marathon with sweat dripping all over? 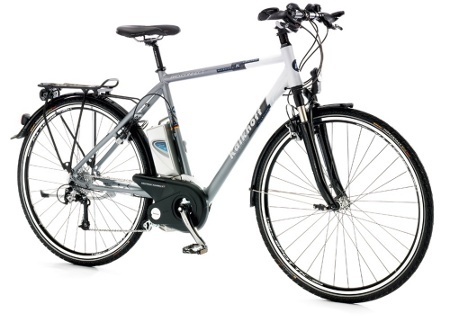 Why not consider Greenlight Bikes’ line of Kalkhoff bicycles and e-bikes that are due to hit North America. Just in case Kalkhoff doesn’t ring a bell, this company is one of Europe’s largest and most recognized bicycle brands. 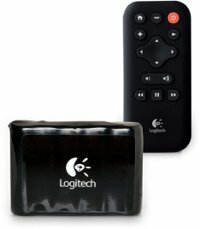 Do you happen to own a Logitech Squeezebox Radio? Well, you might want to consider an accessory for it which comes in the form of the Squeezebox Radio Accessory Pack. This is one way for you to truly experience a wireless way to enjoy music from your Squeezebox Radio, where this unique piece of hardware allows you to place your Squeezebox Radio just about anywhere you want as long as you remain within the umbrella of a Wi-Fi network, regardless of whether you are at home or outside (again, that depends on the range of your Wi-Fi network as well as the overall size of your home). All this without being tethered by a boring old power cord – now how about that! The Squeezebox Radio Accessory Pack is capable of lasting up to half a dozen hours on the go, and will juice up your precious Squeezebox Radio when plugged in. Whenever you unplug it, you will switch to battery power instantly and automatically without missing a literal beat, so there is no worries about your tunes skipping or losing connectivity because of the lack of juice. Of all the watches I’ve come across, this is probably one of the strangest out there. It has straight forwards hands, and convenient notches to help you read the time. Really, while it is strange, it is extremely straightforward as far as reading the time goes. Which to me is perfectly fine. I wouldn’t want to deal with a watch that you can barely read on a regular basis. 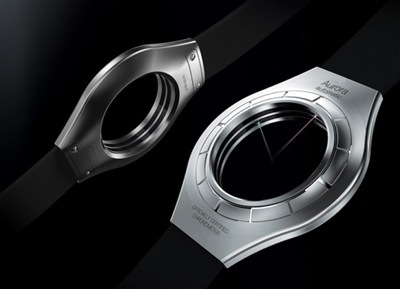 The big twist with this watch is that the back of it is completely clear. Well, Valentine’s Day has passed and we’re onto the next holiday. It wouldn’t be a holiday if it didn’t come with a few ridiculous gadgets that you never knew you needed. 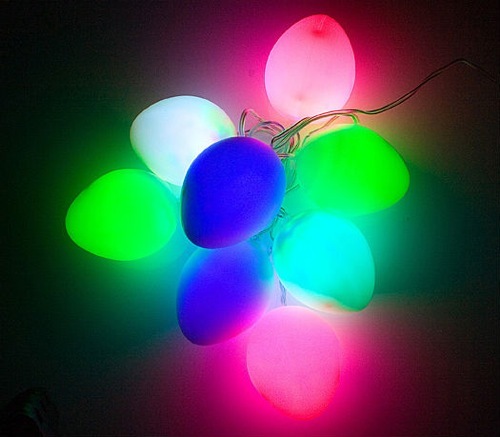 These USB lights might just look like over-sized Christmas lights, but they are in fact brightly colored Easter eggs. I have a sneaking suspicion that they probably pass them off as Christmas lights when it’s December though. Whether you’re looking for a camera for your kids or just a quirky camera for yourself, this would do the trick. It’ll take all of the same shots a normal camera would, it just does it with more class. 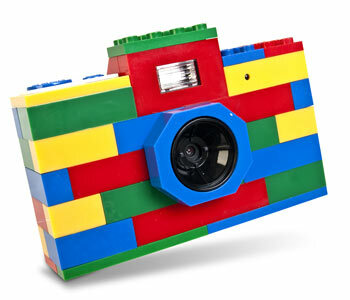 It takes work to be as cool as someone carrying around a Lego digital camera. Sure, it is a bit of a small screen, but it would still get the job done just fine. Headphones are a very personal thing, and depending on the type of person you are, you might choose something discrete while others prefer something much more flashy. Well, V-MODA has recently rolled out its Remix Remote, a fashion-forward in-ear headphone that boasts unrivaled audio performance partnered with an integrated three-button remote. 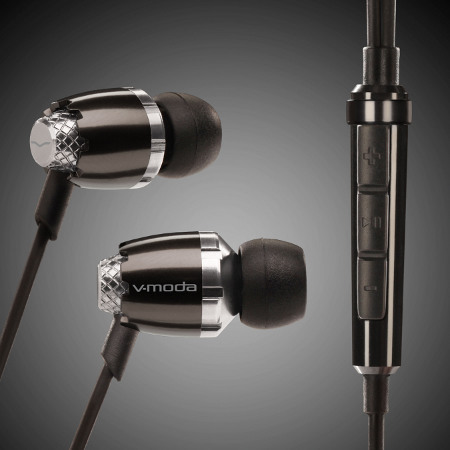 This was developed via V-MODA’s meticulous acoustics and engineering team, making the Remix Remote a completely redesigned version of the company’s original in-ear headphones, where its main focus is to create an enhanced listening experience and dynamics of today’s music while making sure it also performs gangbusters on the iPhone, iPod and Mac notebooks.